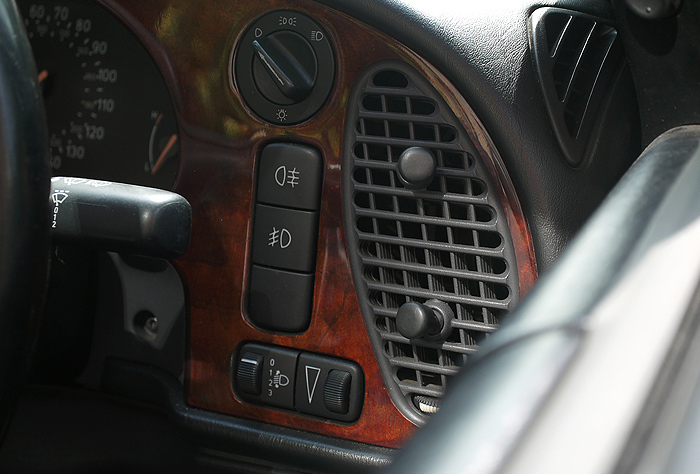 Pleased to see some investment being put into Saab Parts here in the UK. 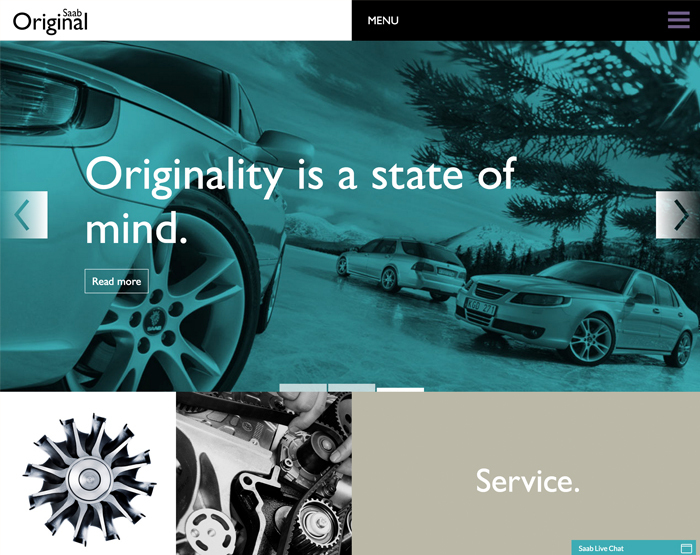 The new ‘Saab Original’ website in nicely designed and on-brand and gives a sense of reassurance to folks wanting to maintain their Saabs using original parts. With so much propaganda surrounding supply, it’s good to see Orio supporting the future. 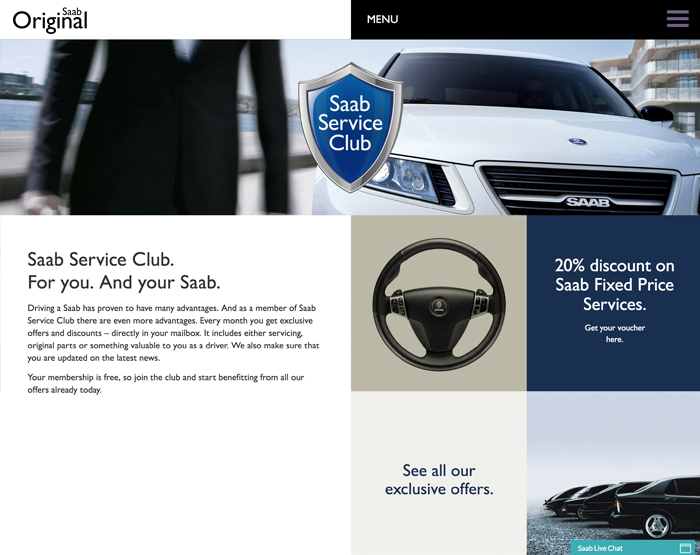 We’re also lucky to have so many seriously dedicated Saab specialists in the UK too, folks who care about keeping Saabs going. Neo Brothers just get better, their service and knowledge is second to none, whilst Abbott Racing continue to tune Saabs to perfection. We’ve also got literally hundreds of local specialists to be thankful for, one of which just happens to be on my doorstep – Malcolm Miles. 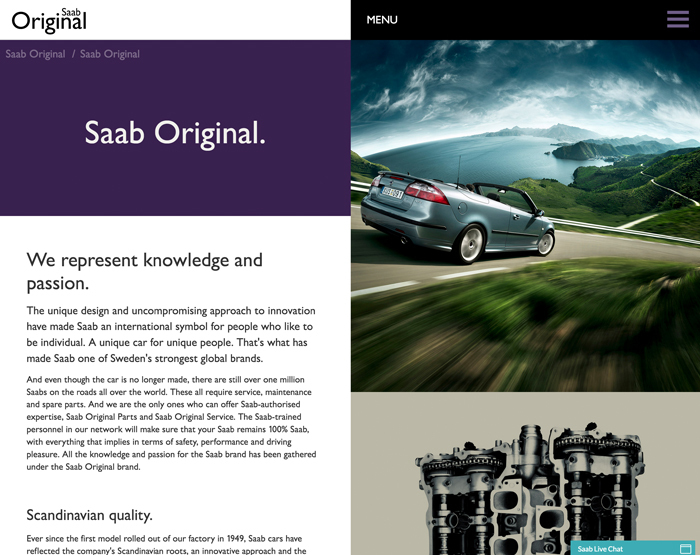 With over 30 years Saab experience, I truly believe there isn’t a single problem Jason and his team couldn’t solve, what’s more, they’ve never yet encountered a problem sourcing parts, no wonder they’re always so busy. 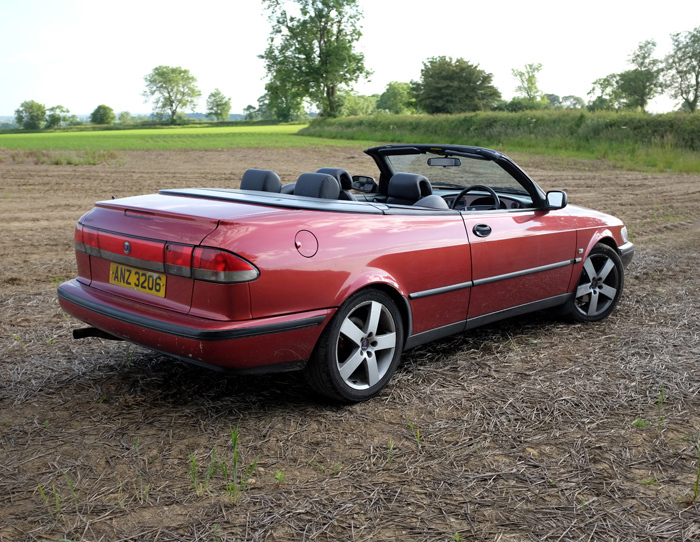 Over the weekend, we enjoyed a 7 hour round trip to pick up our new (old) Saab, which just happens to be one of my favourite Saabs of all time, a 9-3 HOT Aero convertible and it’s in just the right colour. 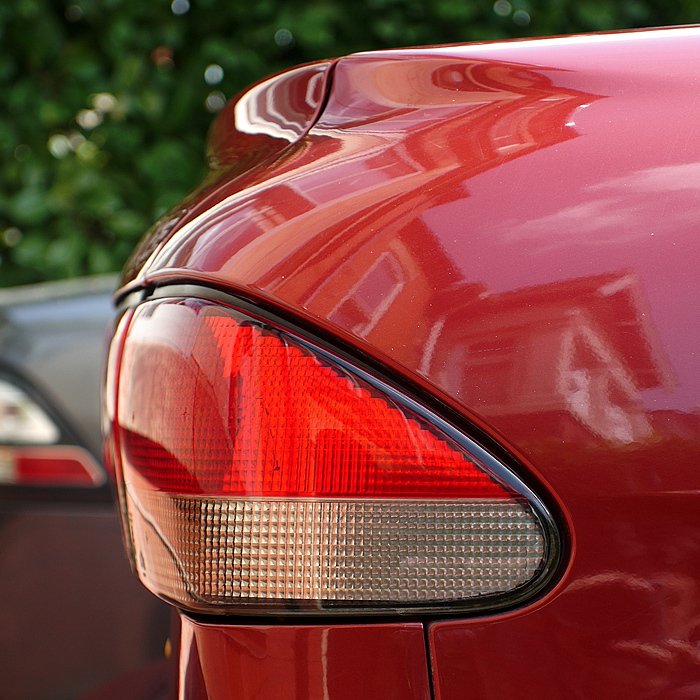 This Saab holds near legendary status in our household, I’ve owned one previously and have wanted another ever since I had to let it go. They’re super comfortable, exceptionally proficient and, in my opinion, rather gorgeous. 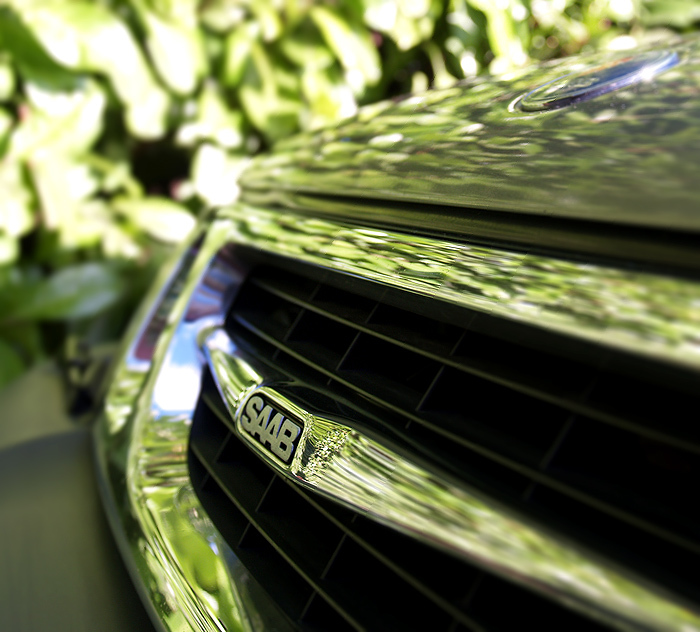 It’s got great credentials too, the high output turbo delivers 205hp as standard and coupled with a manual gearbox is an exciting Saab to drive, there’s never a dull moment, unless you want one of course. Plans are already afoot to upgrade things a little, Nordic remap, Abbott dump valve, brakes and braces followed by a couple of small cosmetic tweaks, other than that, this is a Saab to love just as it is. 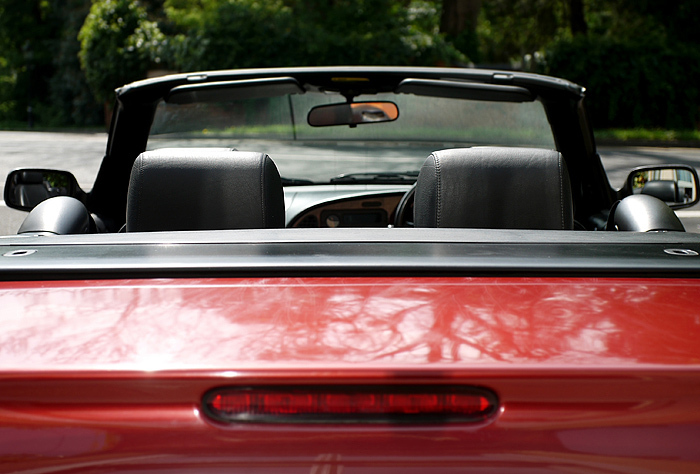 Warm mornings, hazy evenings, deep blue skies, 15 mile commute, what better way to spend it than in a Saab convertible. I must admit, I feel a bit short changed if I don’t go in the convertible on days like this, don’t get me wrong, I can’t wait to get back into my 9-3, but the pure, simple pleasures of the convertible are hard to beat. 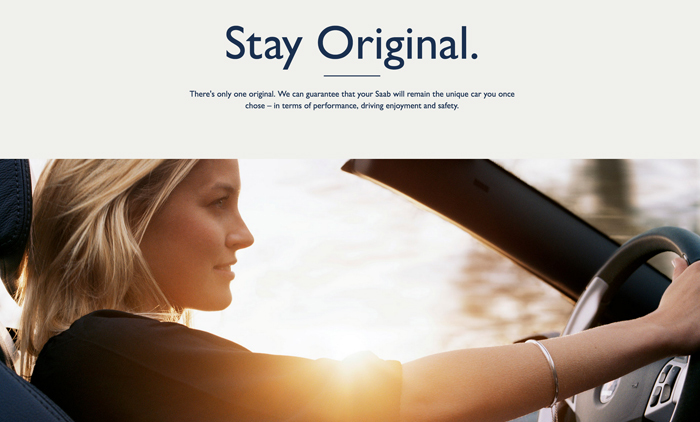 Watch as the trees fly by overhead, Summer sounds as clear as if they were coming from inside the car, and even when you hit traffic, look up for a moment and enjoy utter freedom – clear skies, fresh air. 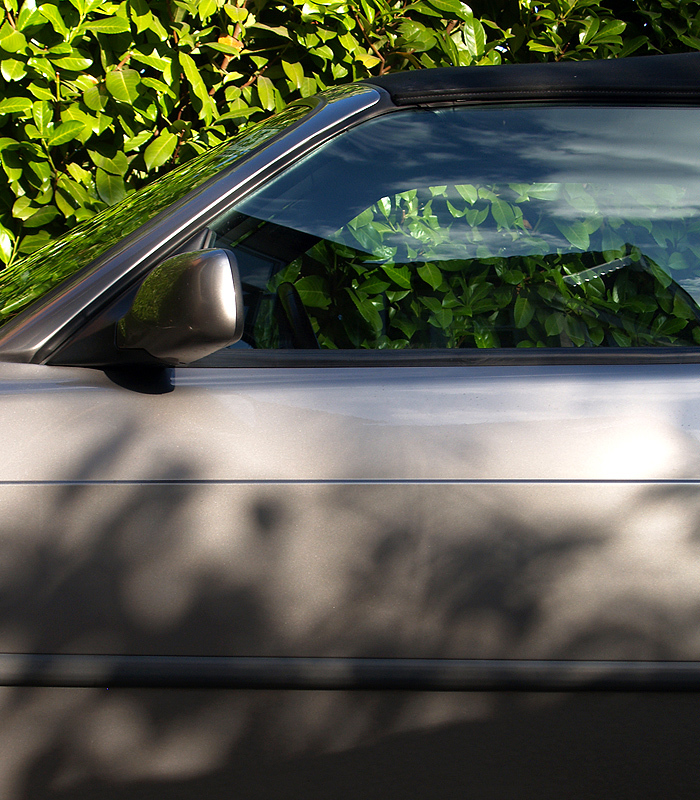 All this in a Saab that cost about the same as a night in a luxury London hotel (equally pleasurable, but short lived). The undeniable feel good factor is hard to beat for the money, look after a car like this, treat it well and it will give you years of simple pleasure, and what’s more, it still look stunning. This is an ongoing project which so far has included new wheels, new bumper, Abbott Racing lowered springs, interior refresh – still lots to do, but for now, it’s time just to enjoy. For the past few days the 900 has been in the Bond Street workshops being treated to a new set of Abbott Racing springs. Having been some of the first to successfully race the 900, they really do know how to get these cars to handle exceptionally well. 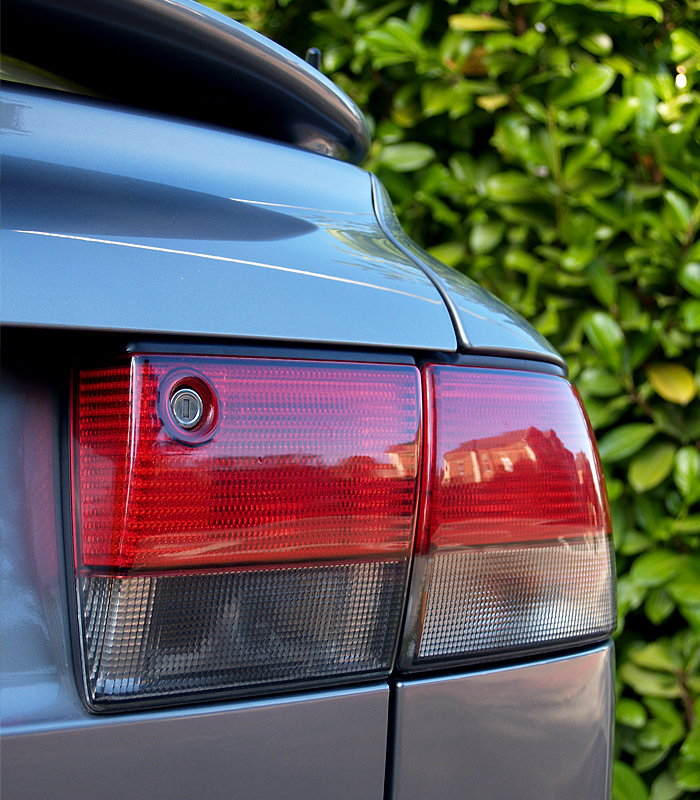 I’ve only had a set of the lowered and stiffened springs fitted, but wow, what a difference, the 20 mile drive home felt like I was in a different Saab – firmer with more poise to the steering, superior cornering and a tighter feel altogether. Just as importantly, they’ve lowered the 900 by at least 30mm and the new 9-5 Aero 17’ alloys fit in there beautifully now. Thanks to the folks at Abbott Racing and Bond Street for yet more great support, I’m sure there’ll be plenty more things to sort out in the coming months. 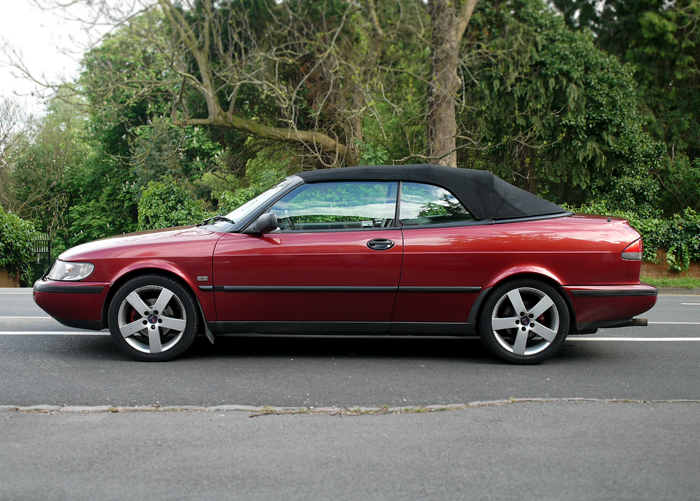 So, it happened like this, a friend of a friend had just purchased a 9-3 convertible, and this sweet 900 convertible was for sale, we popped round to see it, and now there are three Saabs on the drive again. I was planning on the next project being a 9000 Aero, but this kind of just seemed right. It’s a nicely relaxed, automatic 2.3i; just perfect for lazy Summer driving, it’s only covered 115,000 miles (it’ll be joining the ranks of the High Mile Club shortly) and is as smooth and elegant a drive as any convertible i’ve driven, I’m loving the colour too, a deep claret with black mohair roof. It needs some tlc though and has already received it’s first treat – a set of 9-5 Aero 17” alloys which fit perfectly thanks to a set of MapTun 5mm spacers from the great folks at Neo Brothers. Next up, a set of Abbott Racing lowered and stiffened springs to sort out the so, so handling, a new front bumper and a few other touches to make it feel special again. 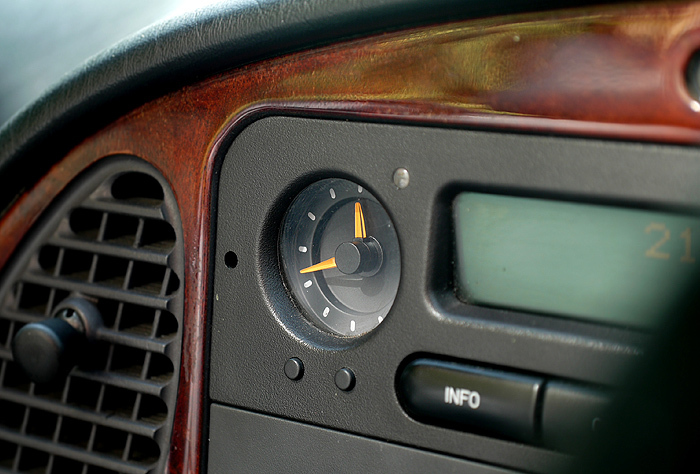 I forgot how gorgeous the dashboard is too, I love the simple analogue clock and those air vents. More to follow on project 900, if I don’t feel too relaxed of course. 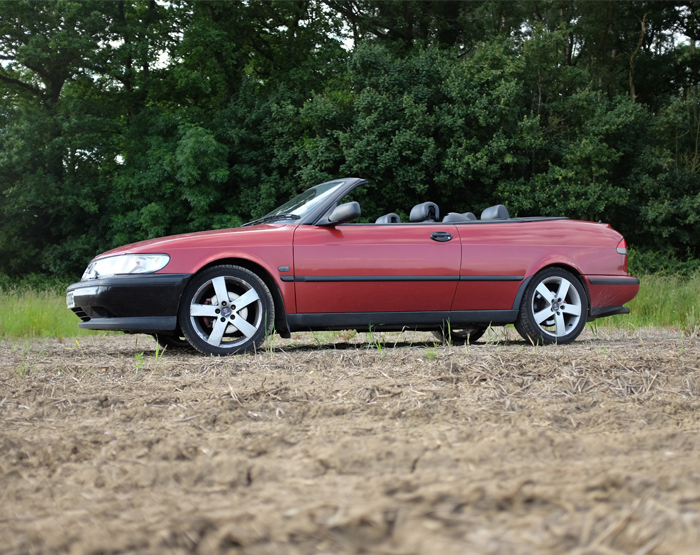 A while ago I did a post on the stunningly beautiful Saab 9-3 HOT Aero convertible, I’ve owned 2 in the past, but am finding myself longing for another now that Spring is in the air. I swear they don’t age, I started looking around to see what was available and just fell in love all over again, absolutely timeless. These are seriously fun Saabs – 205hp as standard and built with such great attention to detail you feel utterly cocooned once you’re inside. 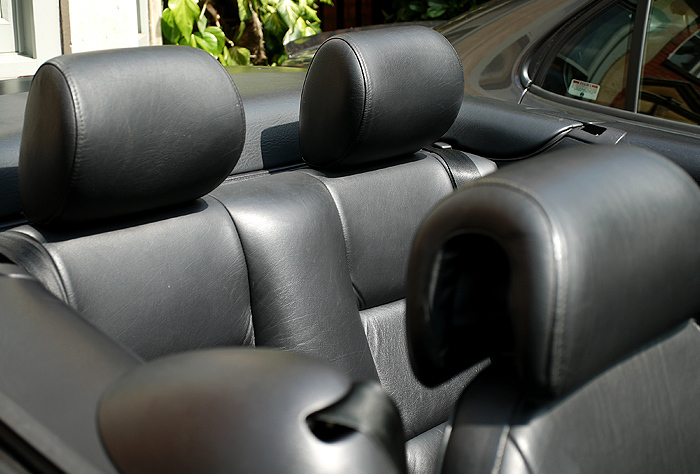 Leather sculptured seats almost as good as the 9000 Aeros, a classically Saab dash and a mohair roof that comes down super fast. 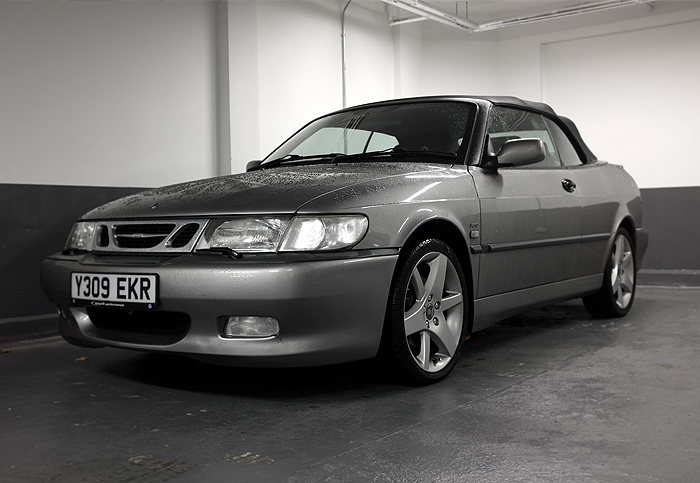 Add a few goodies from Abbott Racing – A chunky ECU upgrade, stainless steel exhaust, 25mm suspension drop and a Viggen Rescue Kit and to me, this is a near perfect Saab.